the cuts along the wall sometimes grow deeper. the wounds are visible. the wounds face north. they face the passer-byes of the street. the inhabitants of the neighbourhood. the cuts are repaired; and then they are wounded again. a process of continuous repair and repeated damage. the embodiment of an ongoing "conflict" in the neighbourhood and in the "area." between different ideologies, religions, and interests. a conflict of interests. 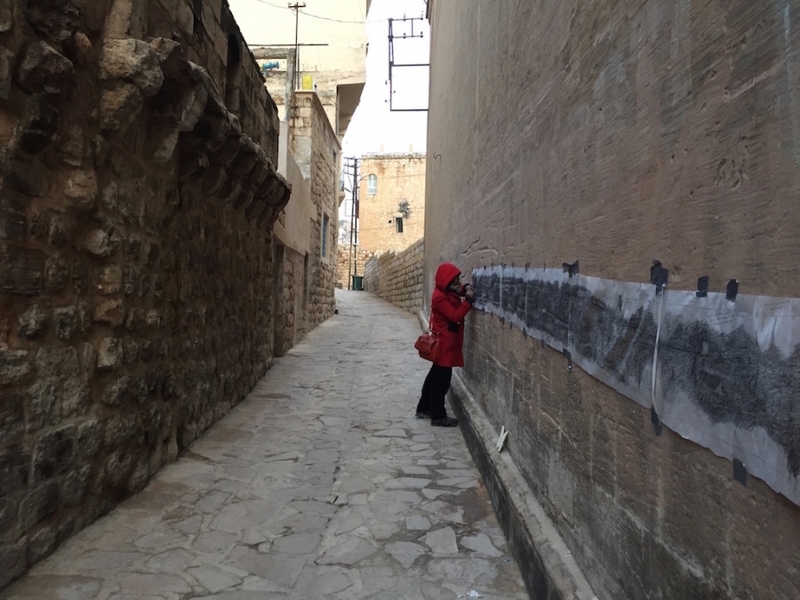 this witnessing site triggers the gesture of facing the wall and closely tracing it. comments are jotted down. the direction that these notes face are also noted, stated on the scroll.